Indoor ice skating in the Lake Winnipesaukee area of New Hampshire has an advantage over ponds and lakes. 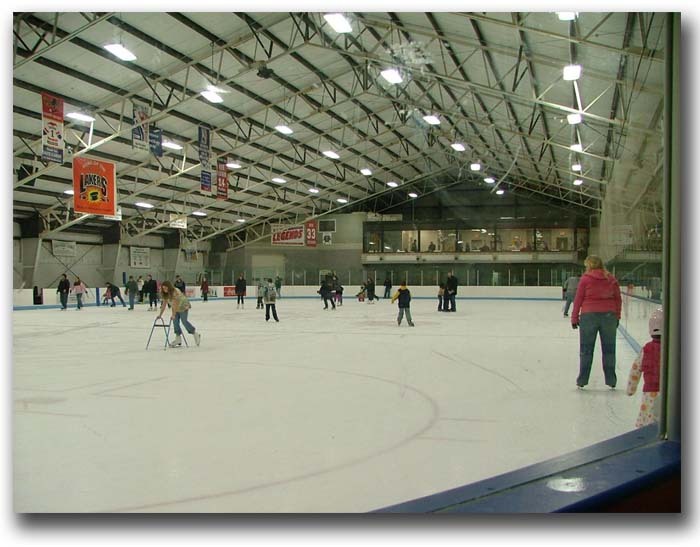 Ice skating rinks have a controlled environment with consistent surface conditions. The ice is usually kept between 24 and 26 degrees Fahrenheit, with low humidity. 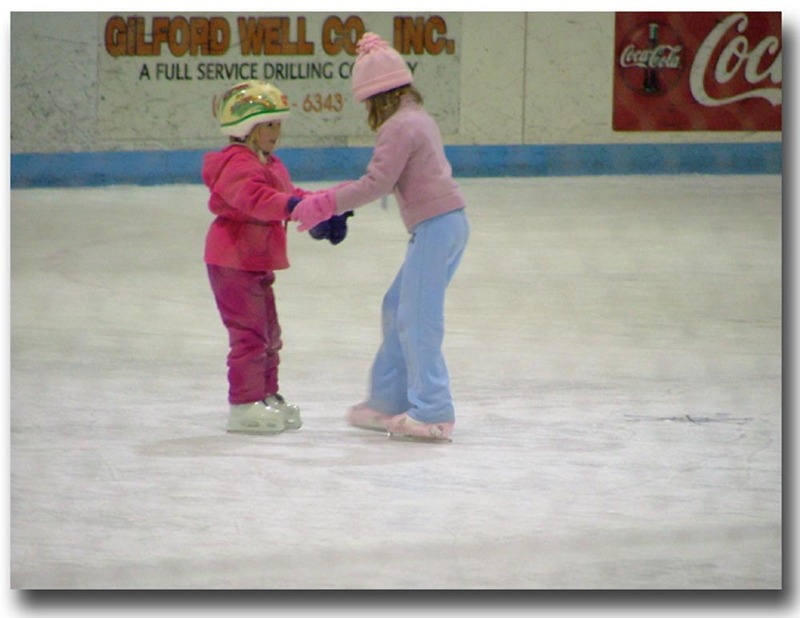 When it is warmer outdoors, indoor ice skating rinks in the Lake Winnipesaukee area of New Hampshire can make an adjustment to keep the ice at a consistent temperature. It is important to keep the humidity low so there won't be fog over the ice. These rinks are kept cold by using similar concepts to air conditioners and refrigerators. Below the ice surface, there is an ice making system to maintain a consistent surface all season. Temperatures, both indoors and outdoors, affect the consistency of the ice. If it's warm outside, like the warm Lake Winnipesaukee summers, the indoor temperature can increase, which could soften the ice. The refrigeration unit kicks in and keeps it cooler. Likewise, ice skating rinks in areas where it's cold need to be heated to maintain the ice. 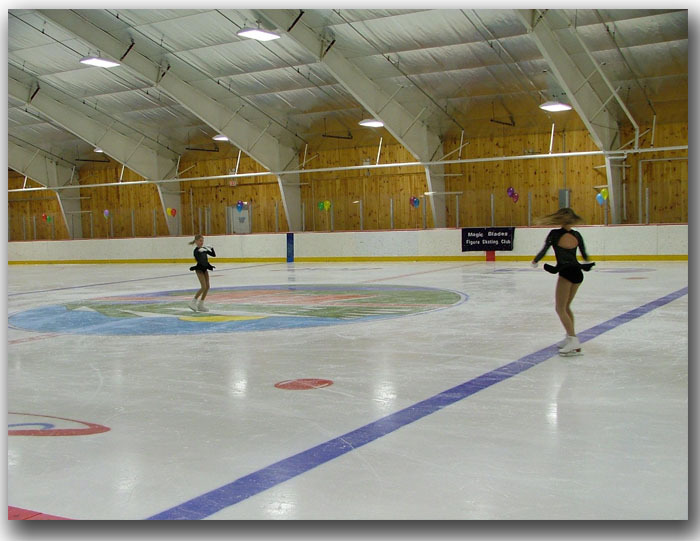 Since the ice is consistent, it is easier to skate and you know what to expect for ice, temperature and crowds. Plus, you can take a break and sit somewhere warm if you would like. Additional advantages for indoor rinks are you can take beginner ice skating lessons, learn some ice skating basics and watch some terrific ice skating moves of other skaters. Outdoor skating rinks have advantages in some ways over indoor rinks. When you're on a pond or lake in the Lake Winnipesaukee region of New Hampshire, you can pretty much skate when you want and without any costs. The disadvantages of outdoor ice skating in the Lake Winnipesaukee area, are the temperatures, quality of ice and usually no place to warm up. If you do skate outdoors, you'll want to learn some ice skating rules and ice skating tips as well as learn about ice skating safety. Return to New Hampshire Ice Skating From Indoor Ice Skating. Return to the New Hampshire Lake Winnipesaukee Travel Guide Home.